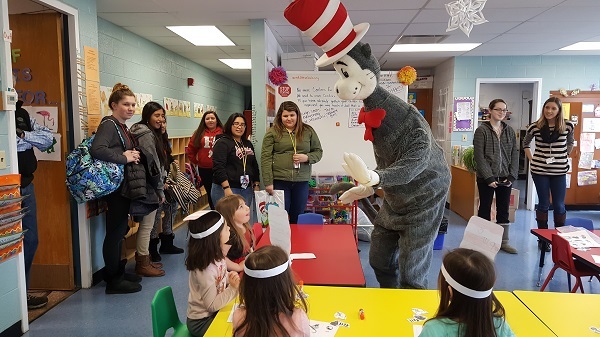 Warren County Technical School’s Child Development high school program and Sprouts Pre-School kicked off “Read Across America” on Friday, February 3rd with a special visit from the Cat in the Hat himself. 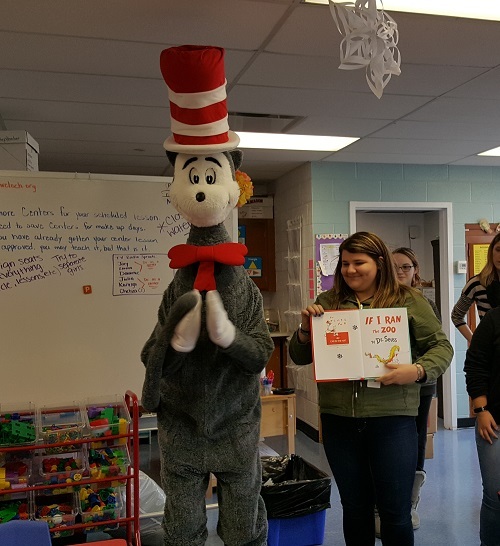 During the months of February and March, the New Jersey Education Association (NJEA) sponsors the program in which the Cat in The Hat visits classrooms all across New Jersey to promote “Read Across America” and to help build a nation of readers. 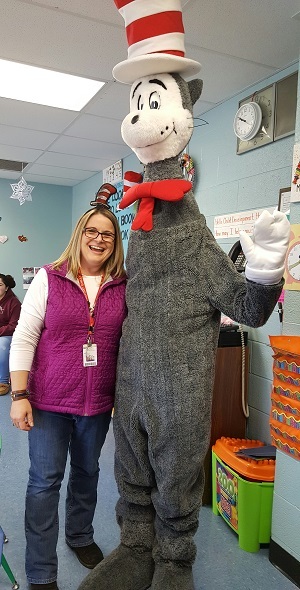 The Cat in The Hat is portrayed by retired teachers who wear a professional costume that stands seven feet tall. 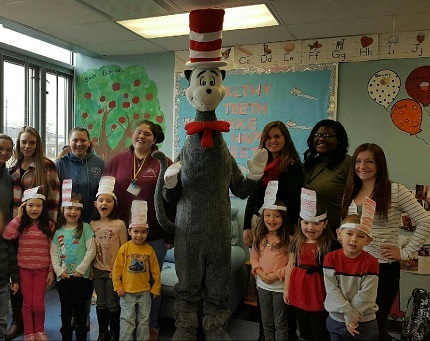 The visit from the lovable Dr. Suess character was a surprise to the pre-school students enrolled in Warren Tech’s Sprouts Pre-School. The Child Development program at Warren Tech is a unique learning environment where high school students and pre-school students work together under the supervision of the programs instructor. The program simultaneously prepares high school students for the demanding child care profession while preparing the preschool students for kindergarten.The high school students learn about the developmental characteristics of children as well as the physical, emotional, and cognitive development of children. They develop and teach lessons and plan and implement activities designed for the pre-school students. The program provides high school students the opportunity to obtain industry credentials such as a Child Development Associate (CDA) certification. The pre-school students in return experience a variety of differentiated instructional techniques and individualized instruction as they prepare to enter kindergarten.